During 2019, the Brazilian state of São Paulo has reported 12 new cases of yellow fever virus, including 6 deaths, said the Pan American Health Organization (PAHO). Historically, yellow fever virus transmission is at its highest between December and May each year, the PAHO said on January 25, 2019. This is important news since over 6 million people visited Brazil during 2018, says the World Tourism Organization. As of 2018, the preliminary results of the mass vaccination campaign against yellow fever indicate that 13.3 million people in São Paulo, 6.5 million in Rio de Janeiro, and 1.85 million in the Bahía states were vaccinated. "Human cases reported during the current 2018-2019 seasonal period in São Paulo State, as well as the confirmation of epizootics in the state of Paraná, mark the beginning of what could be a 3rd cycle and a progression of the outbreak towards the Southeast and South regions of Brazil," the PAHO said. The previous yellow fever waves of transmission were during the 2016-2017 seasonal period, with 778 human cases, including 262 deaths, and another during the 2017-2018 seasonal period, with 1,376 human cases, including 483 deaths. In the United States, the CDC’s Advisory Committee on Immunization Practices (ACIP) published a recommendation in 2015 that 1 dose of yellow fever vaccine provides long-lasting protection and is adequate for most travelers. The CDC says its the clinician’s decision whether or not to vaccinate any traveler, must take into account the traveler’s risk of being infected with YFV, country entry requirements, and individual risk factors for serious adverse events after yellow fever vaccination. Revaccination against yellow fever was previously required by certain countries at 10-year intervals to comply with the International Health Regulations. As of July 2016, a completed International Certificate of Vaccination is valid for the lifetime of the vaccinee. Moreover, countries cannot require proof of revaccination against yellow fever as a condition of entry, even if the last vaccination was more than 10 years prior, says the CDC. With the caveats described above, international travelers should refer to the online version of this CDC book and the CDC Travelers’ Health website for any reported updates to country entry requirements since the publication of this edition. As of July 2018, the CDC published updated maps indicating which countries require yellow fever vaccination. 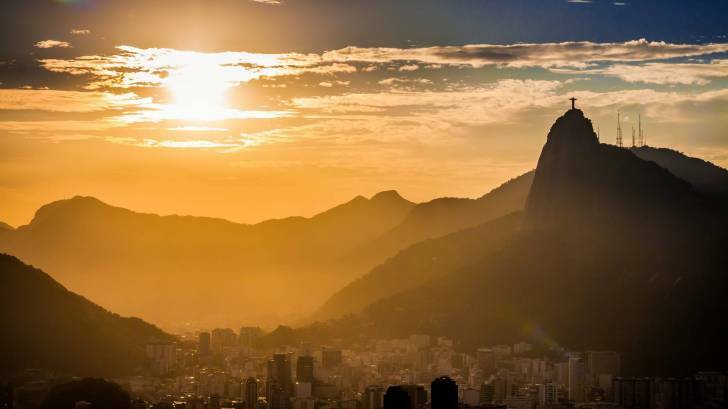 In response to Brazil’s YFV outbreak, the CDC issued a Level 2 Travel Alert during May 2018 recommending visitors to Brazil protect themselves from yellow fever by getting the vaccination at least 10 days before arrival. Yellow fever is a disease caused by a virus that is spread through mosquito bites. To prevent getting sick from the yellow fever virus, the CDC says to use insect repellent, wear long-sleeved shirts and long pants, and get vaccinated.